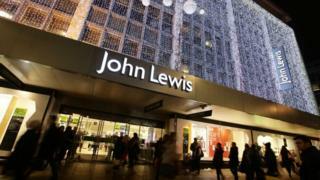 The boss of John Lewis has warned that the fall in the value of the pound could become a "big issue". Managing director Andy Street said the weak pound could start driving costs higher next year. He also said it was too early to say if the UK's vote to leave the European Union had affected consumer spending. His comments came as a survey pointed to the sharpest drop in consumer confidence in 21 years after the UK vote to leave the EU. Market research firm GfK surveyed 2,000 people after the referendum. Its confidence index fell by eight points to minus nine, a drop not since seen December 1994. Consumer confidence and spending are measures watched by the Bank of England when deciding its next move on interest rates. Governor Mark Carney has already warned the UK's economic outlook is "challenging" following the decision to leave the EU. The GfK survey, which was conducted online, suggested that 60% of consumers expect the general economic situation to worsen over the next year, compared with 46% in June. Just 20% expect it to improve, down from 27% last month. Is pound weakness due to market errors? In a speech on Thursday evening, Mr Street called for an end to Britain's "political crisis" and the uncertainty over its terms of trade. That uncertainty has hit the pound, which is trading near a 31-year low and fell below $1.30 earlier this week. "We hedged this year but the issue is next year - it will have an effect," Mr Street said. "If inflation gets into the value chain, it will feed through." "For us to start being concerned, the obvious thing for us is a reduction in the growth in consumer spending," he said. "But has it actually changed behaviour? It's just far too soon to say." He said greater certainty was needed over Britain's trade relationships and on the future of Europeans living and working in the country. "At the moment this is a political crisis, it's not an economic crisis. But one could turn into the other if not properly handled. We need to know the solution to terms of trade and want it done as soon as possible." Sales growth at John Lewis slowed in the seven days following the referendum, but Mr Street said Brexit was not to blame as the market had been challenging even before the vote. The GfK survey was carried out between 30 June and 5 July to capture the mood of consumers immediately after the referendum. "Our analysis suggests that in the immediate aftermath of the referendum, sectors like travel, fashion and lifestyle, home, living, DIY and grocery are particularly vulnerable to consumers cutting back their discretionary spending," said Joe Staton, head of market dynamics at GfK. The percentage of people who believe prices will rise rapidly in the next 12 months jumped to 33% from 13% in June. The survey also picked up regional differences. Consumer confidence in the north of England saw a 19 point drop and fell by 11 points in Scotland. The south of England dropped by just two points. A separate survey indicated that retailers were already beginning to feel the impact. The BDO's monthly High Street Sales Tracker showed a strong start to June, with sales growing 3.8% year on year. That decreased throughout the month and by the end of June, after the referendum, sales had fallen by 8.1% compared with last year. The first official economic figures from the Office for National Statistics that will cover periods after the referendum will start being released in August.